Since working at Beautylicious I have been very fortunate to be able to go on various Decleor training courses. They are such inspirational days and you really do come back to work buzzing and totally in love with the products. I have gained a wealth of knowledge and experience yet one thing has always stuck in my mind. Personally, I also love the night balms. I feel like I often neglected the fact that for 8-10 hours ( if I’m lucky) I am asleep letting my body recuperate, yet I’m not doing anything to allow my skin to do the same. Night time is when your skin cells are at their most productive, repairing any damage done throughout the day. Decleor are always looking for ways to improve upon their wonderful products and they have just relaunched two of their night balms with improved added ingredients and benefits. ‘Are you getting enough sleep?’ ‘If not, look how we can help you! 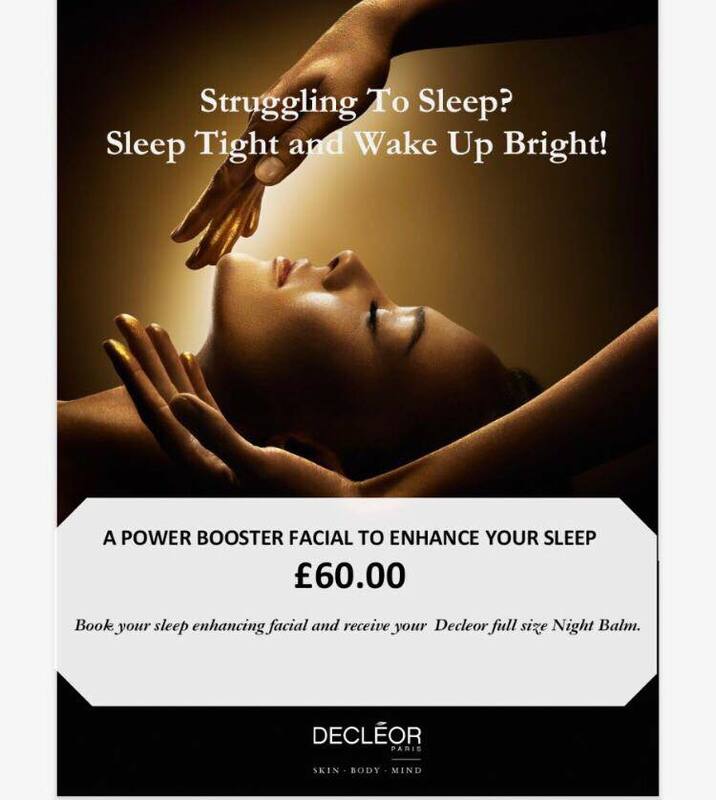 book in for a sleep enhancing discovery facial, where you will receive your Decleor night balm which will relax the mind, body and soul. It will act like a silk pillowcase, cocoon, repair and drip feed the skin of all of the essential ingredients your skin needs. Whats going on at Beautylicious...?! From new Staff to The Beauty Show!